Our students have travelled a long way to find themselves in our language classrooms. Uncomfortable or alone, they sign up with a friend, or quickly identify and sit with a peer with the same culture and language background. They’re able to help each other navigate life and study and getting by in a strange land, and why not. This is a good thing. However, our students have travelled a long way also because they need or want to make a life over here for a period of time. They want to feel like they can really get to know this place and make it their own, in some ways at least. But the networks they establish at language institutions and in own-language communities often work against this goal. They provide solidarity and familiarity – but they don’t help make that leap to owning this new context and becoming participating members of the new language community that surrounds them. For the last #AusELT Twitter chat of 2019 we’ll be swapping ideas on engaging learners outside the classroom, and hopefully going a step further than “just a bit of homework”. Can you think of ways you have helped your learners engage with the wider local community? What fears and obstacles might learners have around this, and how could we allay them? What initiatives or activities have you found that genuinely spark learners’ passion for exploring the world through the medium of English? Come and share your ideas on Sunday 4th Nov at 8.30pm AEDT. Click here to see the time where you are. This entry was posted in #AusELT Twitter chat, autonomy, beyond the classroom, Use of L2, well-being on November 3, 2018 by #AusELT. Over the last few months I’ve been exposed to fascinating input and ideas from a few different education events, and have decided to jot down what I call the ‘nuggets’ here, in our ever-broadening Community of Practice. These are the ideas and phrases that encapsulate my educational beliefs or pry open my world view, and remain with me long after the events have been packed away; these are the notions I mull over and draw from, where I find professional and ethical validation and consolation. I hope you find they can add value to your own professional ruminations. September saw the ever-enjoyable English Australia Conference unfold in Sydney. I had an insider’s perspective this time around via the conference organising committee, and was mightily impressed by the staggering number and quality of abstracts put forward. Respect to all you ELT teachers out there – I am so glad to be part of such a highly-engaged and dedicated group of professionals. Fiona Wiebusch (UQ ICTE) and Clare Magee (UTS Insearch) reminded us that PD can happen in many different and unique spaces and places. I indulge in an inner grin as the image of our staff kitchen where deconstruction of lesson plans and lunch plates, so artfully blurred, flashes by. Donna Cook (ACU), Vickie Bos (UQ ICTE) and Nicole Patterson (Study Qld) encouraged us to consider that it’s not all about us providing for international students – they bring a richness and energy of their own into our community and we should go about recognising, fostering and promoting it so that others may see and learn from them. Again, chagrin. Plenary speaker Antonia Clare, much admired for her bright energy and the passion she has brought to the Speakout series, lifted our hearts by helping us remember that emotion and cognition are closely linked, and that for our students to learn well, we need to engage their emotions. And a great big shout out to those of you who honoured Barbara Craig (Flinders), and me, Sandra Pitronaci (MQ ELC), with your presence at our Servant Leadership workshop. We valued your honest discussion, and we thank you once again for participating so enthusiastically. The highlight of the conference for me, besides watching a bunch of ELT folk nutbushing the night away, and another bunch of ELT folk bravely ad-libbing through a Theatresports rite of passage, was absorbing the wisely spoken words of Sue Blundell, presenter on the Women in Leadership Panel. Organised by Aparna Jacob (UNSW Global), and including Heather Thomas (UOW), and Jenni Coster (Monash), the discussion centred around surviving and thriving in political environments. Sue’s words were a salve to my heart. “Be the peacemaker. Find solutions. Peacemakers transcend politics and focus on making progress”. A bright gold nugget clenched tightly in my fist as I spent the evenings after the conference watching our Federal Parliament transcend into the hellish depths of ego-driven leadership spills and shameless in-house bullying. English Australia, and most especially Sophie O’Keefe, you have once again done us proud. What a profession, and what dedicated professionals. International students are being so carefully and so generously served by you all, as are we. Soon after the English Australia Conference was over, I rambled across the ditch and over the hill, to attend and co-present at the CLESOL Conference in Christchurch. My LOTE background and a past life working with a Community Language School drew me over, along with a fascination for the strength of te reo Maori in the New Zealand linguistic space, and how our Kiwi cousins have been progressing in leaps and bounds. Language revitalisation projects are considered modest by the Kiwis, yet as an Aussie, knowing how we have neglected the languages of our First Nations People, their initiatives blew my mind. And obligations do not end at adhering to the New Zealand Standards, but also include honouring the Waitangi Treaty by embedding Maori perspective into the curriculum. I know we’re working on it back here, but I feel we still have much to catch up on. Plenaries by Paulette Tamati-Elliffee, Jeanette King and Rae Si’ilata on te reo Maori and Pasifika languages helped broaden my world view by a number of notches, and while I spent the weekend feeling slightly ashamed, I left somewhat hopeful. I might lack the knowledge and expertise to be of service in the language revitalisation of Indigenous Australian Languages, yet it was heartening to see language-teaching colleagues throwing their heart and soul into the study and revitalisation of te reo Maori, and I know there are colleagues both Indigenous and non-Indigenous doing the same in Australia. If any of you out there know any colleagues who are doing so, or who have ideas on embedding culture into the curriculum, perhaps we could do an AusELT post showcasing their work? The CLESOL Conference also hosted a plenary by Angel Lin, Simon Fraser University, acknowledging and encouraging translanguaging and trans-semiotizing. Gone are the days of the ‘interlanguage’, and oh how I most dearly embrace my clumsily emergent meaning-making… Perhaps my countless half-finished phrased and gestures cast into the wind in either/both/neither languages aren’t so meaningless after all… Then Macquarie’s very own Phil Benson led us through learning English in the multilingual city of Sydney, where thoughtful management of ‘spatial circumstances’ can greatly enhance language learning opportunities. My nugget from Phil – that a ‘post-social’ view of applied linguistics is person-centred, and sees individuals as agents of their own socialisation. My rambler’s suitcase is now emptied, but I’m still unpacking that notion. And once again, thank you to those of you who attended my session with Barbara Craig – such a delight to immerse ourselves back in our old primary and high school teaching worlds plus hear your perspectives from current times. CLESOL Conference, you were an intense moment of immense growth, and I recommend you to anyone. Kerstin Dofs, an honour to meet you, and Daryl Streat, sorry not to have crossed paths in the real world. Just as my language and education immersion fortnight was almost over, along came a lucky pass to the ABC’s Q&A Teaching Special, courtesy of Angie Nazim (UNSW Global). (We would have taken AusELT’s Clare McGrath with us, but it turns out she isn’t demographically fascinating enough). I was lured in by the appearances of Pasi Sahlberg, now at the UNSW Gonski Institute, and Eddie Woo, maths teacher extraordinaire at Cherrybrook Technology High, and creator of WooTube. Joining them were Cindy Berwick (NSW Aboriginal Education Consultative Group), Gabbie Stroud (author of Teacher), Jennifer Buckingham (Centre for Independent Studies), and of course the ever-sharp Tony Jones. A feast of topics, and a huge diversity of ideas and opinions on the NAPLAN test, selective schools, disadvantaged schools, remote schools, demoralised teachers, teacher autonomy as professionals, teacher qualifications and school funding. One of the final questions of the night had many wondering if there was still hope. In Eddie Woo’s words, yes, there is, as we teachers are ‘professional non-giver-upperers’. I like you, Eddie. Unfortunately, I didn’t get the chance to put my burning question to Pasi Sahlberg: What would be the single most important thing we should be doing in this country to improve our education system? AusELT folk, perhaps you have some ideas? This entry was posted in CLESOL, Conferences, English Australia Conference, Professional development on October 17, 2018 by #AusELT. UPDATE: The voting has ended and the favoured article for discussion is The vexed issue of written corrective feedback: English language teachers using theory to improve practice. You can read the article online here and download the pdf here. This week is reading and thinking time, and next week, the discussion begins. Welcome to the voting page of the Article Discussion Group. The idea is for us all to vote for our preferred article from the latest English Australia Journal, read it, and then join in a moderated discussion of the article. Authors will either join in on the discussion, or respond offline to points raised and questions asked, facilitated by the moderator. The discussion will take place on the #AusELT Facebook page and is scheduled as such: October 22-28 is reading time; October 29 to November 4 is discussion time. The articles are all relevant to many of the contexts in which members of AusELT practice. One is a research article focused on the English Australia/Cambridge Assessment English action research project. Another is an action research project focused on improving students’ confidence in interacting in their local communities. The third looks at how teachers engage with research to improve the way they give feedback on student writing. Each article has been peer-reviewed, meaning that the editor has invited leading TESOL scholars to review and offer suggestions for improving earlier drafts. We have some excellent reviewers who, together with the authors, have ensured you receive the best quality research reports upon which you can make some decisions about your own teaching. In order to assist those who are new to reading research articles, the moderator will orient you by providing a summary of the research design and the overall purpose of the research. The discussion will not only focus on how the article can inform your own teaching, but also on opportunities for further research in any form. It will hopefully spark ideas for improving the quality of life in many classrooms! Each article has an abstract for you to read; after all, just as you can’t judge a book by its cover, you can’t judge a research article by its title. The complete articles are all open access, freely available online here and downloadable in pdf here. The chosen article will be made available as a pdf and available for download on this page. This article reports on findings from a qualitative study in the English Language Intensive Courses for Overseas Students (ELICOS) context which explored teachers’ experiences and their managers’ perceptions of teacher participation in the Cambridge Assessment English/English Australia Action Research in ELICOS program. Despite previously reported benefits for teachers’ professional development as a result of action research participation, the study found that some current tensions may be limiting the potential and sustainability of the English Australia Action Research program for the development of teachers, ELICOS centres and the sector as a whole. This article explores four key tensions and offers some possible ways in which the tensions can be addressed within ELICOS centres and more broadly. These tensions and directions are also likely to be relevant to other ELT contexts in which teachers are conducting action research. International students are increasingly isolated and disconnected when they attend university and may fear talking to the English- speaking public. The Rejection Project is an action research project that examines a new classroom method for university EAP [English for Academic Purposes] teachers to actively encourage students to overcome their fears and speak to local English speakers. This may increase their interactions with the Australian public and give them a better student experience. This paper focuses on written corrective feedback and its challenges for teachers working with adult learners in the English language classroom. The teachers introduced in this paper teach in dedicated language centres, specifically a private college specialising in journalism courses and a university English language centre. Both teachers teach academic preparation courses with a particular focus on writing. They each recognise that academic writing in a second language is new for their students and that the students value feedback on their written drafts. However, for the two teachers, written corrective feedback remains a vexed issue because of their own acknowledged unfamiliarity with the principles of best practice. This paper highlights their concerns and presents points from the field of second language written corrective feedback that have helped inform and improve their feedback. It is envisaged that sharing the teachers’ experiences and the relationship between theory and practice can assist other English language teachers seeking to improve their feedback on students’ second language (L2) writing. This entry was posted in Uncategorized on October 15, 2018 by #AusELT. The #AusELT community responded enthusiastically with many ideas and suggestions (you can read the thread on Facebook here). Cat then generously agreed to compile the responses so we have a permanent record of them and she has written this brilliant blog post. Enjoy and learn! I teach creative writing to pre-intermediate and intermediate ESL students. I have a creative writing background, so at the start, I tried a lot of the techniques that were taught to me by my own creative writing teachers. Some things worked in the ESL context, others didn’t. I’m loath to admit that a lot of the time, my approach to this course was rather (ahem) experimental, often with far too little scaffolding. So I took my dilemma to the #AusELT brains trust. Here’s what we came up with as a better approach to creative writing in the ESOL context. If the students don’t have a good background as readers, they will be unable to write anything decent even in their L1. That’s why a course like this is a triple challenge for an educator. A great piece of advice in the discussion was this: Develop students as readers in BOTH languages, develop them as analysts, and then develop them as writers. Let’s start with how to develop students as readers. You should provide students with opportunities of extensive reading of creative writing genres as part of the class or for homework. This will inspire their writing and help them to have a grammar goal to work towards. Give them a related activity such as thinking about how many tenses the author used on one page and asking them to replicate it in their own piece later on. If you do well, maybe you will get lucky and see the students put the learning into their own hands. One contributor to the conversation mentioned the idea of a book club to his students and a small group decided to start one of their own where they got through one graded reader a week. Try to help them find a genre that works for them – or at least one that is familiar to them. My students are 90% Colombian, so I have tried to use some translations of Latin American magic realism with which they are likely to be familiar. You could also use fairytales as a stepping stone for students to retell stories from their own culture. Before they can write their own piece, students must comprehend writing techniques and how to use them. You should provide extracts from a variety of texts and go through fabula, plot, text organisation and structure, tropes, narrative styles, as well as the differences between metaphor, comparison and simile. Students should do plenty of theoretical and practical literary and linguistic analysis prior to actually writing something. This is how they can acquire sophisticated grammatical understanding. Richard Ingold’s work on exploiting model texts provides strategies to apply grammar analysis of a model text and how to apply it to new writing. 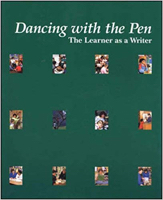 His work has an academic focus but many strategies could be equally used to demonstrate the link between grammar and creative writing more explicitly. What grammar would you use if you’re talking about this…: Ask them to think about and discuss this question before they start an activity. Reflection: At the end of class, ask students to reflect on the grammar points and vocabulary they encountered during the class. Peer correction: At the end of a writing activity, ask students to pass their writing to another student and ask them to correct that person’s errors. This one will do wonders for your sanity too so you’re not running between students beckoning you over to correct every little mistake they make. So we’ve finally made it to the creating stage. I’m sure I’m not alone in that the majority of my students have never done anything creative whatsoever. No macaroni artworks in primary school, no high school drawing class, and certainly no creative writing. You must teach them how to be creative, how to generate ideas, and how to let go. This can be scary for students who have never been allowed to do so. So how can we teach them to let go? Writing storms: One idea to help students feel more comfortable writing freely in English is to use writing storms. In other words, just write. Students write about something of their choosing or via a prompt for 3-4 minutes without stopping to edit or look up words. Tell them not to worry about accuracy or appropriacy of forms, choices, spelling, or punctuation. This is a good bridging activity to get them writing on a more regular basis. Here, follow-up need not be editing and improving. It could be simply providing them the opportunity to reflect on the piece’s message, purpose, or what they could add in their own and others’ writing. Inspire them with World Englishes: Another idea is to share some writing that is representative of World Englishes. This will help students feel more comfortable with the idea that even through they don’t write English in a typical way a native speaker would, it doesn’t make it less valid. The variation and beauty of alternate English can be an asset to their work. One of my students wrote a piece titled ‘Life Is Not Pink in Colour’ – a strangely worded title to the English ear, but I found something very poetic in the way it was expressed. One contributor mentioned that they welcomed a Tibetan writer as a guest speaker to their class. He talked about writing in English, brought examples of other poets’ books, and did a creative writing workshop with them. This exposed the students to a model whose English is good but not native speaker perfect – a goal to work towards! Here is another inspirational character, a young slam poet called Solli Raphael. His book, Limelight, might be inspirational for students and will provide them with some great writing tips. Once your students have a better grip on the power of reading and literary/linguistic analysis, and the creative juices are flowing, it’s time to start creating their own texts. Short film: Short films are a good stimulus for creative writing. One contributor found short films to be a good stimulus for creative writing. Show a short (around 3-12 minute) film and then ask them to write “what happens next” or “what happened before”. This way, they already have the idea of a narrative, scene, and characters. You can find some film suggestions on the #AusELT website Movies & Videos page here. Story reproduction via a model text: Dictate one of your own short stories on a particular prompt like ‘an embarrassing moment’. The students hear it once and try to summarise what happened. They hear it again and can make a note of the main plot points. Then you tell them that they’ll need to recreate it with a partner and give them one more listen. They then have to write it down. This will help you find what grammar they need and to help them analyse the grammar in your story and how it’s used in creative writing. Then they use the same prompt to write a story of their own. This is a nice way of satisfying their desire for grammar, while still encouraging them to create something of their own. Humans of New York (or Australia): Gather some interviews from Humans of New York or, if like me, you find they are exposed to too much US or UK-centric material, New Humans of Australia. Select different stories depending on which grammar topic you’d like to focus on, or adapt some of the texts and have the stud ents correct them. Once you have done the analysis and grammatical part, have them interview each other and produce a HONY-esque text from it. Embrace artistry through graphic novel/comics: Many students will shudder at the thought of drawing, but even stick figure storyboards can be effective. One suggestion was to have students storyboard an article about a man who got lost in the desert and survived by eating frogs. The written focus in these kinds of activity can be on short utterances – mainly dialogue and descriptions. If the issue of drawing is causing a stalemate, you can use existing textless graphic novels (or blank out the text) and have them write in the text. Language is poetry: A daily 10 minute poem challenge is a nice way to warm up or cool down. Try some easy (non-rhyming) poetry like adjective, shape, acrostic or simple haikus every day. This entry was posted in Writing and tagged creative writing on September 9, 2018 by #AusELT.